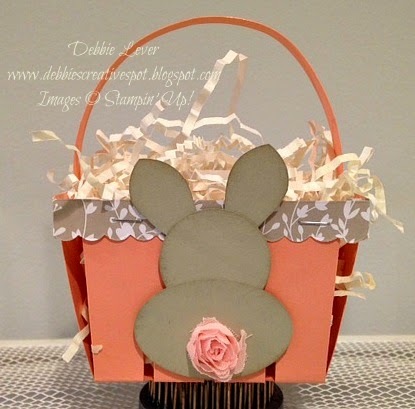 Here is a sweet Easter basket I made using the Berry Basket Die. These baskets are super easy to put together! I made my bunny using three different punches. Extra Large Oval, 1-3/8 circle and the Flower Medallion Punch. You can see them punched out here. 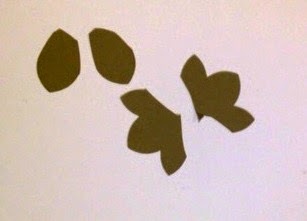 I cut the flower petals to make the bunny ears as shown here. The top pieces are what I used for the ears. 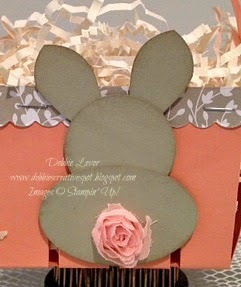 Who knew bunny ears were hidden in the flower punch! To finish the little bunny I sponged around the edges with Crumb Cake ink just to give some definition, adhered it together with snail adhesive and gave my bunny the cutest little tail using one of the flowers from the Artisan Embellishment Kit. Just adorable!